Home buyers looking to buy a home in a surf community would do themselves a favor by looking in Cardiff by the Sea first. When you think of buying a house in Cardiff by the Sea you might want to think first about what it is you’re looking for. If you want a hip modern “extreme” form of surfing then you might want to start looking somewhere. 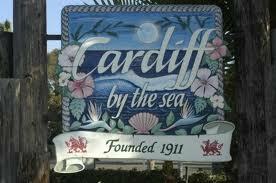 See, when it comes to Cardiff by the Sea you’re just not going to find a more laid back community. Single family homes for sale in Cardiff by the Sea are part of a calm and cool scene that has been this serene since 1911. That’s when the area was founded as a residential area from a farming district. Funny how it took people that long to figure out that living by the beach was as righteous as it sounds to us today. The homes in Cardiff are older builds, but what they lack in modern amenities they make up for in character. These homes are chalk full of that. If you’re looking for a more modern lifestyle though you might want to look at the condos for sale in Cardiff by the Sea. These homes tend to be newer and up to the standards that most home buyers are expecting these days. You’ll find private decks, modern kitchens, open floor plans and big bathrooms. Some of the grounds these condos are on even have active facilities like gyms, tennis courts and pools. This is a great option for people not looking to spend an arm and a leg and yet still enjoy everything that Cardiff by the Sea has to offer. 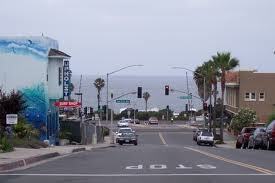 Foreclosures for sale in Cardiff by the Sea are some of the nicest bank owned properties in Southern California. Yes, they need some work. Most foreclosures do. But with the money you’ll save dealing directly with the bank you’ll find you have plenty left over to make your new foreclosed home exactly what you want . And with OpenOffer.com you have someone doing all of the annoying negotiating for you. Let’s face it. that is the worst part fo buying any home, much less one owned by a bank. Cardiff by the Sea wants to make your new home by the sea. OpenOffer.com will make it a painless experience.